BRYAN EATON/Staff photo. 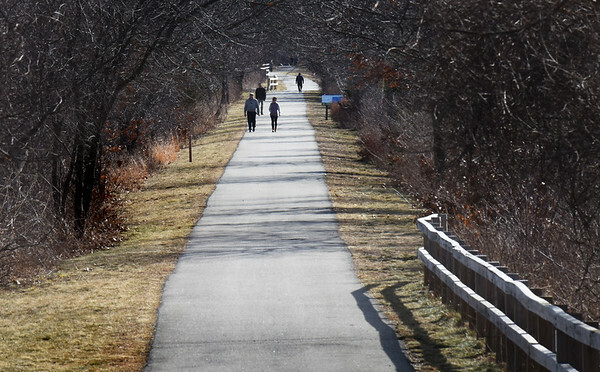 Walkers took to the Great Easter Marsh Trail in Salisbury on Tuesday afternoon as the temperature just hit 50 degrees. Today the thermometer is forecast to top 60 degrees with rain in the forecast for Friday.